The highly realistic Decoy CCTV Camera features a weatherproof housing with optional red flashing LED light, and full pan & tilt adjustment. Designed in a sleek, modern housing with authentic features including day & night icons and rain shield. Weatherproof housing allows indoor and outdoor use. 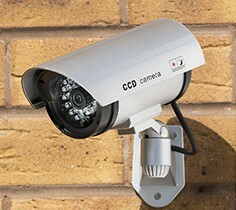 Designed to be indistinguishable from a real CCTV camera, the Decoy Outdoor Camera features 30 red LEDs which can only been seen in the dark and give the impression that the camera has night vision recording. Designed in a sleek, modern housing, which features day & night icons and a rain shield the decoy camera can be used indoors or outdoors. Designed for indoor use only, the Decoy Dome Camera is indistinguishable from a real CCTV camera, and comes with wall, ceiling or flat surface fixing options. The unit features 12 red LEDs which can only been seen in the dark, and give the impression that the camera has night vision recording. 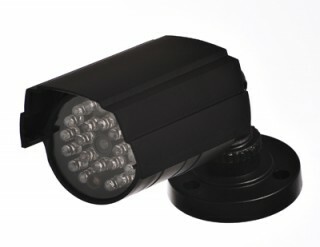 The Dummy IR Outdoor Camera comes with an adjustable 3-axis wall mounting bracket and features 23 red LEDs which can only been seen in the dark and simulate a real infrared CCTV. Suitable for indoor or outdoor use, the camera should be installed under shelter to protect it from heavy rainfall when used outdoors. 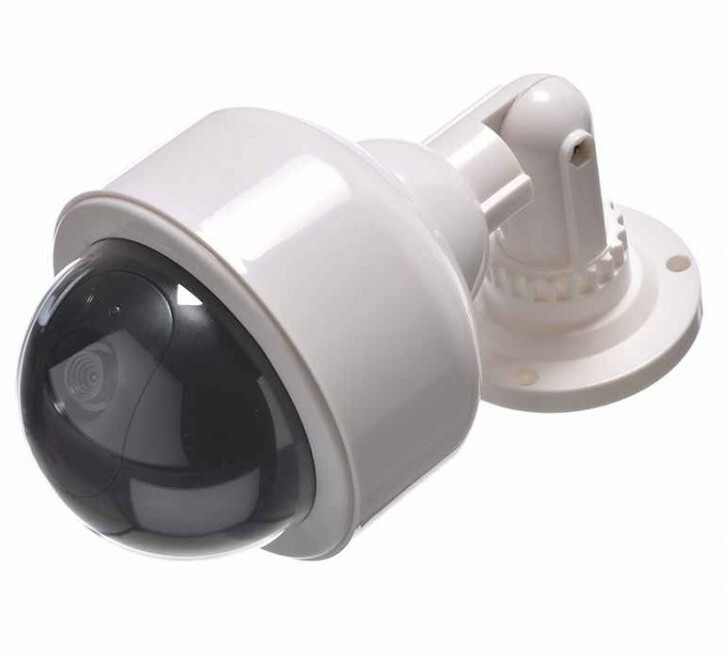 The Dummy Dome Outdoor Camera can be installed quickly to the wall or ceiling and features a ﬂashing red LED (ﬂashes at 2 second intervals) to simulate a real CCTV camera. Suitable for indoor or outdoor use, the camera should be installed under shelter to protect it from heavy rainfall when used outdoors. 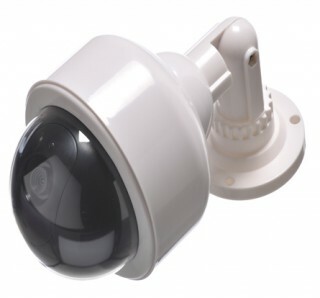 High quality metal decoy camera with a dummy wire trailing to the metal mounting bracket, to give added realism. The unit also features a ﬂashing red LED to simulate a real CCTV camera activity. Suitable for indoor or outdoor use.